Hair removal is one of the most popular aesthetic procedures, as virtually every person has some amount of pesky, unwanted hair that they would like permanently removed. The procedure rose to popularity in the mid 90's, once the technology was publicly available, and has stayed a powerhouse procedure in the aesthetic and dermatological fields ever since. Most medical spas and aesthetic practices have a solution for hair removal, and even the smallest markets in the US typically have at least one or two practices offering treatments. We won't lie – the hair removal space is competitive. Yet, it is still a very profitable procedure for practices, as there is high demand for the service and patients are willing to pay for smooth skin. Hair removal treatments have been around long enough that there is high public awareness of the procedure and of its efficacy. Everyone expects medical spas and laser clinics to offer hair removal services, but it's a surprising fact that laser tattoo removal specialty practices often receive a significant amount of their revenue from hair removal treatments as well. The largest tattoo removal clinic chain in the country makes about 20% of its revenue from hair removal, despite having a brand strongly centered around laser tattoo removal. Just by cross-marketing the procedure to existing patients, they are able to offer a valuable service to their loyal clients and increase practice revenue. It's for this reason – and the demand from our existing clients – that Astanza has developed a system for advanced hair removal treatments. 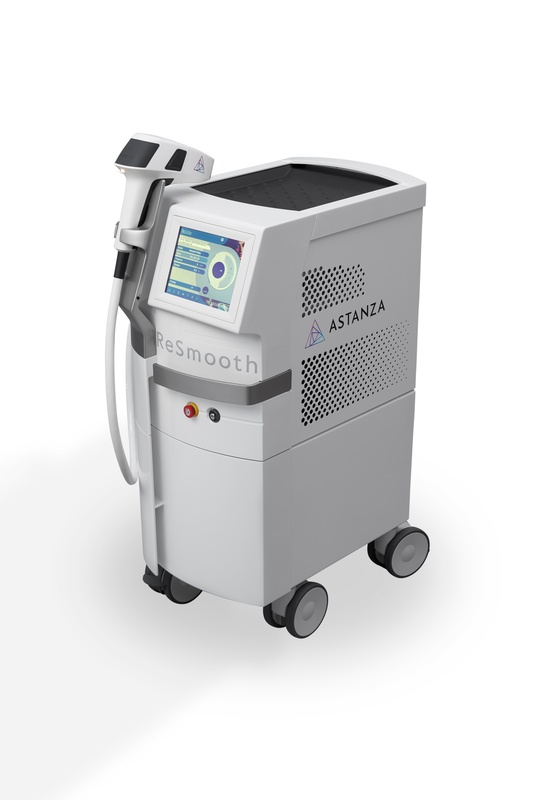 We are a brand focused on innovation, which is why we've added the Astanza ReSmooth hair removal system to our suite of systems. The ReSmooth, which is safe for use on all skin types, features the largest spot size available for faster treatments and more effective results. The state-of-the-art platform is a versatile and productive workhorse platform for aesthetic practices looking to diversify their service offerings. When introducing new hair removal capabilities to your practice, you may be unsure of the pricing standards you should set. Unfortunately, a local competitive analysis may be less than fruitful, as many hair removal providers do not publicly post their pricing. This article is designed to help businesses looking to add hair removal to their practice be competitive yet confident in their pricing structure. We’ve conducted research of over 50 different hair removal providers across the United States to give you perspective on how to structure your pricing for this procedure. We studied large and small markets, practices of different types, and popular promotion styles. From our research, we found that hair removal treatments may vary anywhere from $5 per session (for upper lip) to $750 per session (for full legs). This wide range is due to a variety of factors. As a practitioner, you'll want to assess your local market and see how you would fit into your competitive landscape. Local market standards play a huge role when determining hair removal treatment prices. The cheapest prices come from highly competitive markets whereas the most expensive prices stem from low-competition regions. Generally larger markets – and those with the greatest cultural emphasis on aesthetics – tend to have more competition. For example, Los Angeles is far more competitive for laser hair removal than Des Moines. That said, there are far more patients paying for hair removal treatments in Los Angeles than Des Moines, so practices can earn more based on volume than on high margins. Different types of hair removal providers price their treatments differently. Plastic surgery and dermatology practices tend to charge more than medical spas and laser clinics, and it's understandable why. 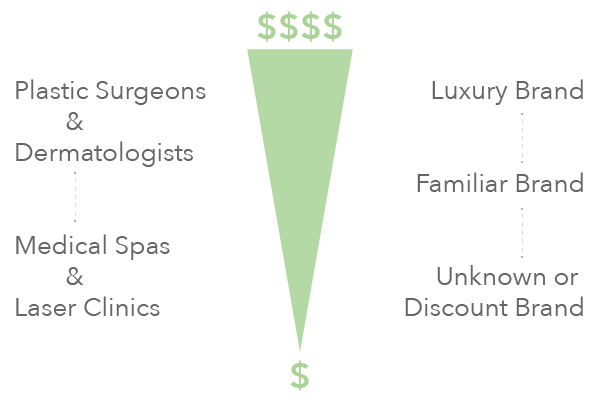 Some patients are willing to pay a premium to be treated by a physician, and these skin specialists do a lower volume of hair removal treatments (since they don't focus in it), so they charge more to compensate. Branding can be a powerful tool that affects prices. Luxury brands charge more for providing the same service than discount brands. In any given market, the most expensive hair removal provider will likely be a skin specialist with a well-established luxury brand. The least expensive treatments will be at a laser clinic that has minimal branding and promotes themselves purely as a discount leader. Every business is different and has different needs. Profitability is everyone's goal, but there can be many paths to the same destination. If you are assessing your local market and are interested in getting an additional perspective on how your practice may fit competitively, reach out to speak with an Astanza representative. Although prices vary from clinic to clinic, there are a few standard pricing structures within the industry. Each of these structures are simple and easily tailored to every patients needs. This hair removal pricing structure is straightforward – patients are charged a flat fee according to the area of their body they want to have treated. Smaller areas such as the upper lip or underarms are priced cheaper than larger areas such as legs and back. Below is a table of body area treatment pricing for hair removal that we found from our research. The low prices are the lowest we've seen nationwide (discount practice in competitive area), and the high prices are the highest we've seen nationwide (skin specialist in low-competition area). The vast majority of practices are close to the middle of the bell curve. Please note: the prices below are for a single hair removal session, most patients need an average of about 6 treatments to see complete results. This is another commonly used hair removal pricing method that differentiates body areas into various sizes categories and has simple pricing based on size. This pricing method is often used in laser tattoo removal practices and has proven to be very successful and easy to implement. 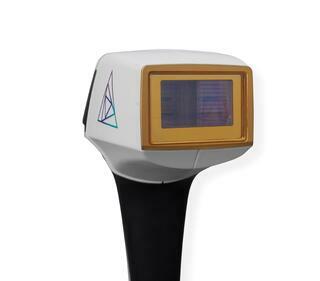 It's similar to the most popular pricing structure for tattoo removal, so tattoo removal patients are familiar with it. This is also a frequently used pricing structure for Groupon and other daily deals. The table below shows different body areas that have been categorized according to their size. In addition, some clinics, but not all, offer “full body” pricing, for one treatment for the entire body. Our research showed the average cost of a full body treatment session was $875, with the lowest price being $550 and the highest being $1500. Remember, prices vary by market, location, and competition. Certain facilities and clinics also offer 15 minute “touch-ups”. Touch-ups aren't advertised by everyone, but we found that patients enjoy these sessions periodically to maintain achieved results and remove any stray follicles. Touch-up sessions are priced around $70 to $85 for a 15 minute session. Package deals and special discount offers are great ways to attract new patients, lock in revenue early, and keep patients coming back. Since most aesthetic procedures need multiple treatments before seeing results, such as laser tattoo removal, many clinics tend to offer treatment packages for patients to pay in full, upfront. Cumatively, patients will be spending a significant amount of money for treatments, so discounts are an attractive option for many. Value packages and "Mix and Match" bundles are popular package styles that allow patients to receive treatment on several areas at a discount. Mix and Match bundles give patients more control by letting them choose which specific areas they would like to bundle together in one treatment. First things first… do a thorough competitive analysis. Dig deep into researching. Perform a Google search to see who's competing for laser hair removal services in your area. The serious contenders are the ones on the first page of Google search results – because that's where you're going to want your business to be too. Then, research on Yelp, Groupon, and RealSelf to learn about your competitors' locations, offices, reputations, and promotions. Look at their websites to see how they've branded themselves and invested in marketing. Tune into Top 40 radio stations to listen if anyone is running ads (many of the national laser clinic chains do on these stations). How does your location, office space, and branding compare? Do you want to brand your business as a discount leader, a luxury destination, or somewhere in the middle? Who's performing the procedure? How does that compare to your competition? 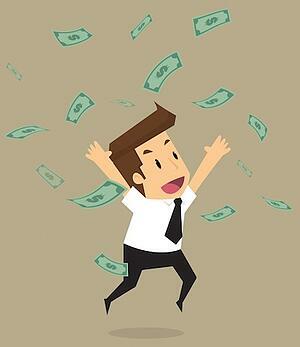 How much do you plan on investing in marketing? Once you understand where you'll be fitting into the competitive landscape, create your pricing structure in a way that's competitive to the local brands that are similar to your business. If none of the local brands are similar to you, extrapolate based on the data you find. Want to talk to an expert in aesthetic procedures to discuss your local market? Reach out to Astanza to get feedback on your thoughts and answers to your questions.